Earlier this week we started our spring garden clean up and ground prep for this season! It’s amazing I was pleasantly surprised by the progress and changes we made within only a few hours! I learned so much too! Like how every flower has a matching weed. SO interesting! We got lots of clean up work done. 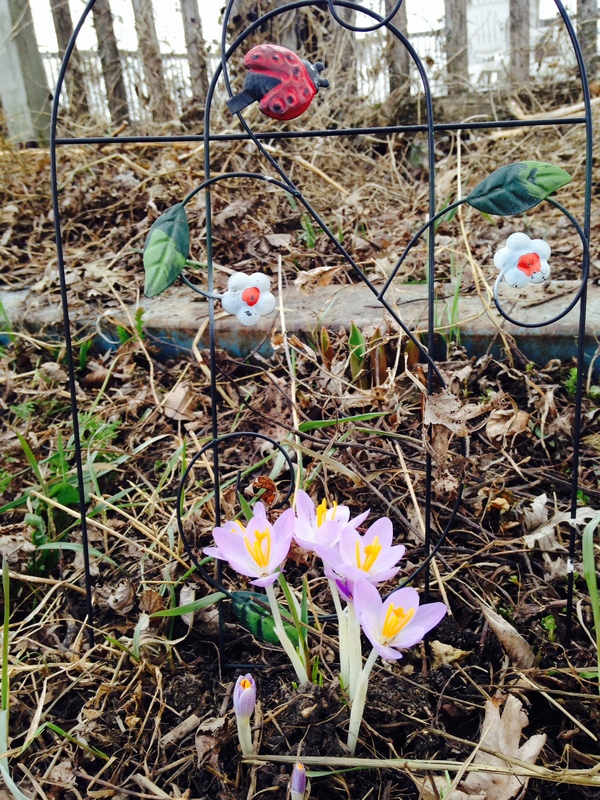 We pulled out the plants which had gotten frozen over the winter, but leaving a few survivors! The perennial herb garden got a good trimming and clean up, while the dogs played around us thinking they were helping. 🙂 A number of things didn’t survive the winter, so those were removed. We clipped late summer and fall blooming shrubs. It looks like the sage, rosemary, lavender, and a couple other herbs survived. We gathered all the leaves from last season and used them as compost around the plot so we can eventually start to expand growth. SO ready to get those beds of spinach in there! Along with our beautiful flower beds. Some things to remember when outside in the garden: Garden gloves, ( forgot those one day and my hands were sore! :), rake, hoe, knife/scissors, sunscreen, water, and other garden equipment needed. We’d love your knowledge and help in the garden for our CSA this year! Support your local farmers!! ← Enroll for 2014 Community Supported Agriculture program TODAY!